time..dot is the font of a notation font enabling notations with the computer keyboard. lines and dots are its basic graphical components: the dot representing the beginning of a sound signal, the line representing silence. 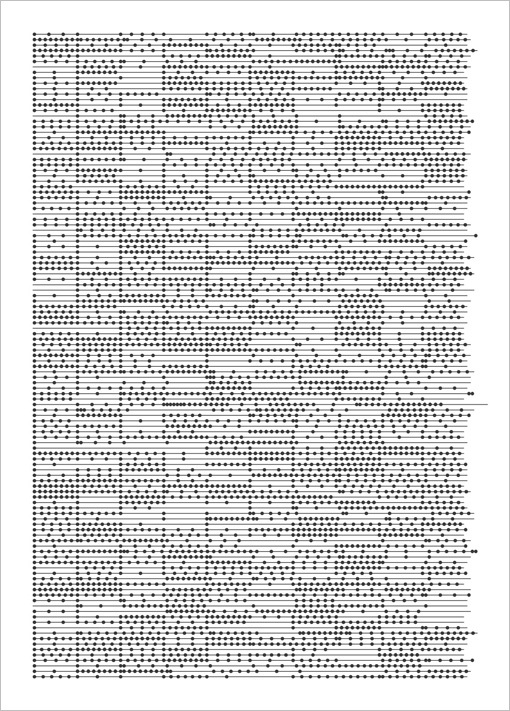 the font comprises exclusively of the keyboard numbers: zero representing silence; one dividing the silence by one dot (sound event); two by two dots etc. this notation font permits the translation of mathematical numerical series onto a graphical notation sheet.